Warp-free particle board shelves provide maximum strength to support heavy loads. 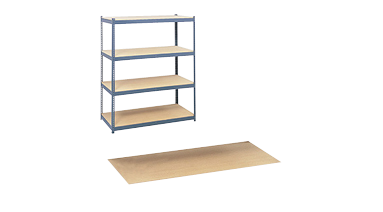 To be used with the Safco® Archival Shelving Steel Frame. Greenguard certified (steel frame only). 4/pkg. 69"W x 33"D. Holds up to 900 lbs. per shelf.